Debating whether video should play a role in your marketing strategy for 2019? 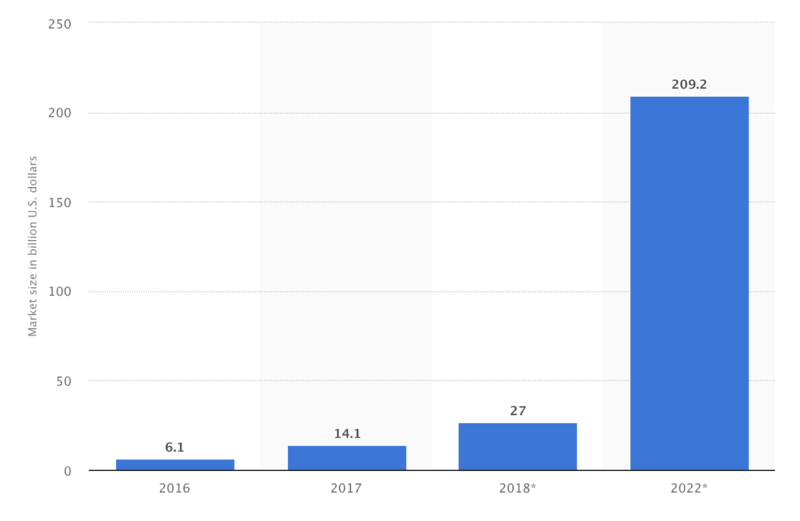 Video marketing is set to soar in 2019. Businesses of all kinds are ploughing more and more cash into their video efforts, and with social media platforms favoring this type of content, it’s a case of keep up or fall behind. Jumping onto trends before they become popular can feel like CIA-style work though, right? But rest assured that you don’t have to get your spy goggles on to find them yourself. 81% of businesses used video for marketing in 2018 (up from 63% in 2017). 76% of marketers say video marketing them increase overall site traffic. 81% of people have bought a product or service after watching a video. When both video and text are available on the same page, 72% of people prefer to watch the video to learn about a product or service. Are you convinced now that you should add video marketing to your 2019 to-do list? From video transcription to a focus on live content, here are 11 of the hottest trends you need to jump on. Since the majority of consumers would rather watch live video from a brand than read a blog post and prefer live video on social media posts, it only proves that live video is a string you need to add to your 2019 video marketing bow. Social platforms like Facebook, Instagram and Twitter all allow publishers to create live video. Simply open your camera, chat away and let the world in on what your brand is up to. If you’re looking to get more views, engagement and improve the ROI of your video marketing campaigns, square-shaped videos are worth investigating. Jump onto this trend by cropping your videos before publishing them. Tools like Kapwing can help with this – but remember to double check that you’re not cutting anything important out of your frame…like the top half of your head. Closed captions help your audience watch video without being forced to turn on the sound. They make our lives easier when we want to watch a video in a public space, like a train or the office. We don’t want to broadcast our love for the Spice Girls to everyone we work with, right? But closed captions aren’t just a luxury – they’re required by law. Video transcription helps people with disabilities, and producers need to add captions to their video no later than 45 days after publishing under the 21st Century Communications and Video Accessibility Act (CVAA). Want to transcribe video to text and enable video transcription for all of your new content? Use our transcription services online and get started today. You likely already know about sales funnels – where somebody follows a pathway you’ve laid out, and they end up making a purchase. An ongoing cycle that places more focus on engagement than transactions, sales funnels are a fantastic way to increase the likelihood of repeat, loyal customers. Think about it: If you’re a consumer who connects with a brand when a sale isn’t involved, you’re more likely to trust them, right? There’s no reason why you can’t do that with the video content you’re creating in 2019 and turn your video sales funnels into content that transitions your brand from vendor to partner. Map out a pathway, or series of videos, that a user can watch. Lead them to the next one, providing new information that builds upon what they know already. Then, with the final video, push your product and convince them to make a purchase. Following on from video funnels, why not switch the payment cycle and ask people to pay upfront for an educational program such as a course? The online learning industry is growing rapidly, and is predicted to make $286.62 billion by 2023. Think of a topic that caters to your buyer persona’s pain point. Craft a series of videos that educate your audience on that topic. Use a platform like Teachable or Udemy to host your video series. Set the pricing for your course. Promote your new course via email, social media, and on your website. Whether you’re recording a customer testimonial, giving a product tutorial or simply explaining who your brand is, investing some cash into promoting or advertising your video content is a fantastic way to raise brand awareness and generate more sales. 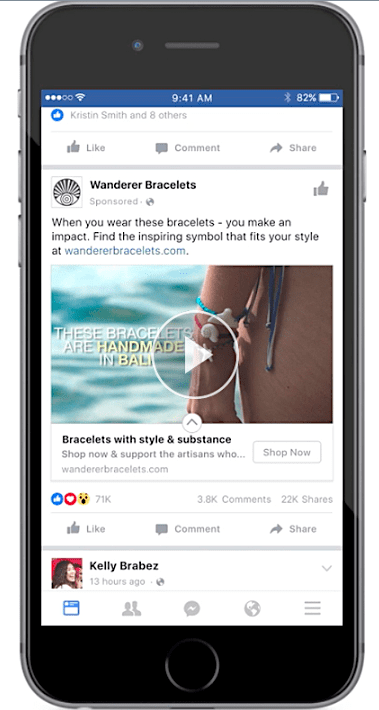 That’s especially true on Facebook and Instagram, where the cost per video view was just $0.01 for Wanderer Bracelets. Their video advertisements generated a 2.5x return on their ad spend, and caught the attention of 3.7 million people. Not a bad result, right? Don’t forget to think about video transcription when using video ads. 85% of Facebook video is watched without sound! Using a hosting platform that allows responsive videos to automatically change size depending on the device being watched on. Adding large, easy-to-read text to your video’s thumbnail. Previewing your video on mobile before publishing. With platforms like Facebook and YouTube supporting 360 video, and with tools like Blend Media being on-hand to master the immersive element, it’s a superb way to impress your audience in 2019 and beyond. Jumping on this video marketing trend seems obvious, right? But what might not be so obvious is the opportunity that VR provides. Just take YouTube, for example. The second largest search engine in the world has opened up their own Virtual Reality channel specifically for immersive video. They feature “the newest and best VR-ready videos on the platform” – and you’d be mad to miss out on the chance to get featured if you’re planning to create your own VR video. Have you added interactive content to your marketing plan for 2019? Using shoppable video content – a video that provides direct shopping opportunities – is a great way to bridge the two, while also improving your video’s ROI. Take a look at how Nars does this with their Instagram video content. Considering that 91% of buyers prefer interactive, visual content that can be accessed on demand, shoppable video content is a fantastic marketing strategy to make your content 2019-proof. It’s not named the next big digital retail opportunity for nothing! Internet sensations like Zoella, PewDiePie and Jenna Marbles have made millions from online video. Why not take a leaf out of their book and steal one of their best video strategies: Vlogging. Vlogging is an older technique that has seen a resurgence among brands as it helps video creators connect with their audiences. It’s an intimate, unique form of storytelling, often done as a “day in the life” video in which you chat about brand message, business changes, product use or customer experience. Take a look at how Quuu co-founder Daniel Kemp uses vlogs to keep his community updated, as with this video: Talking recent changes with Quuu. Not only do you get to know the people behind a brand, but vlogging is a fantastic way to break up the masses of promotional content that brands are pushing out. Keep in mind that, quite often, the best marketing doesn’t feel like marketing. 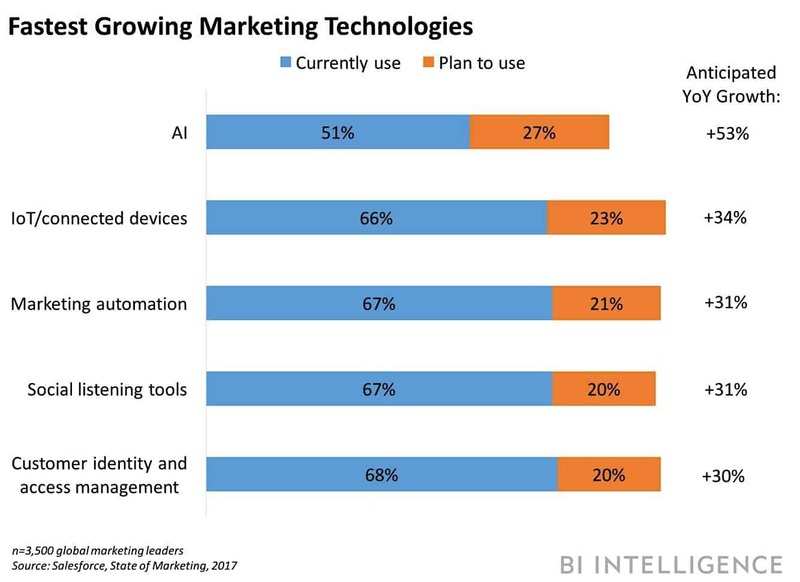 There’s no doubt that artificial intelligence (AI) will play a huge role in marketing in 2019. That’s because personalization is a key part of any marketing campaign – and machine learning or AI software can help you scale personalization to thousands of customers. Use Adobe’s AI-powered editor to edit your videos. Create video scripts using machine learning software such as GilaCloud. Harness data on videos previously watched by a viewer to recommend another video (75% of video content viewed on Netflix is generated from algorithm-based recommendations). Now that you’re excited about taking advantage of these video marketing trends, diving right in with the first idea that comes to your head isn’t always the best strategy to take. You need to know who your ideal customer is before creating any videos. Why? Because failing to do so could cause you to spend thousands of dollars that don’t actually generate revenue for your company. Build out your buyer personas by speaking to your sales teams, surveying your customers, and digging into your analytics dashboards. 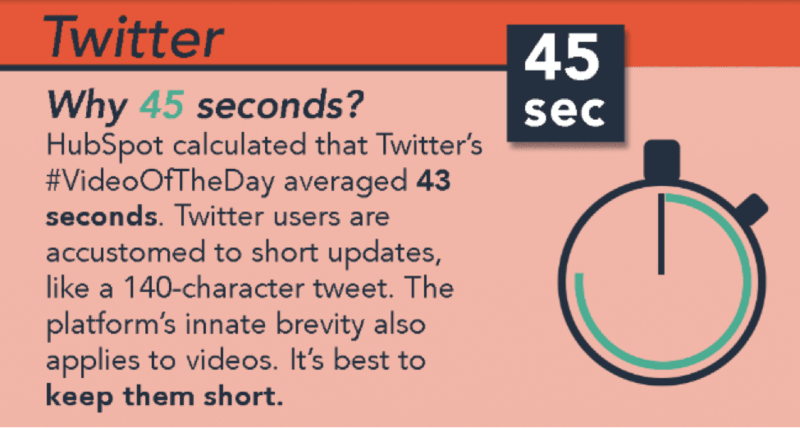 Answers often range from brand awareness and social shares to engagement and conversions. But whatever you decide to focus on, it’s going to influence your entire video marketing strategy. For example, if your goal is to generate conversions, then your plan of action might include product demonstrations or tutorials. A company with the goal to increase brand awareness might not plan to do the same. Oh, and don’t forget that video transcription can increase average watch times by up to 40 percent! Since video is taking over, thousands of companies are throwing in their two cents’ worth and pushing you to host (and promote) your content on their platform. But is it really worth it? YouTube: A platform solely for video, but lots of competition. You’ll need to optimize your videos to get them seen. Vimeo: There’s the option to not show other ads before your video, but you need to pay for it. Wistia: Add interactive elements to your video and easily embed it on your website. The plan for hosting 3+ videos starts from $99/month. Brightcove: Integrates with marketing software like HubSpot and Marketo for in-depth analytics. Facebook: Free to upload and millions of potential viewers, but you might need to pay (i.e. ‘boost posts’) to reach your fans. Instagram: One of the most popular video sites in the world with various video options –including IGTV, video posts and Stories. Periscope: Video must be live; you can’t pre-record and upload. Snapchat: Post video content quickly and easily, but you might struggle to target an older demographic. LinkedIn: Video content is favored by their algorithm, but you’ll need to have a business/professional audience for it to work. To summarize: There really is no ‘best option’ for hosting video. It all depends on your goals and budget – which is not to say that you can’t use several of these options at the same time! You’ve gone full steam ahead and created a video that you hope will meet your goals. Now it’s time to see whether it worked – or if it didn’t, why not. And if you’ve embedded the video on your site, you can also examine Google Analytics’ conversion paths to see whether a customer’s first visit included a video. Finally, tie it back to your goals. For example: If your goal was to increase social shares, add up how many you got throughout the period to determine whether your video campaign was a success. Gotten to this stage and feel like you’ve made an #epicfail? Don’t panic! The course of incredible marketing never runs smoothly. But the beauty of online video is that you can edit, swap and optimize your first piece of video content, and push it back out into the world for even better results. Remember, there’s no one-size-fits-all approach to video marketing. You don’t have to jump on every single video marketing trend, because what works for your audience might not work for another. Trying out a few ideas and then testing them is the best way to crack the code. 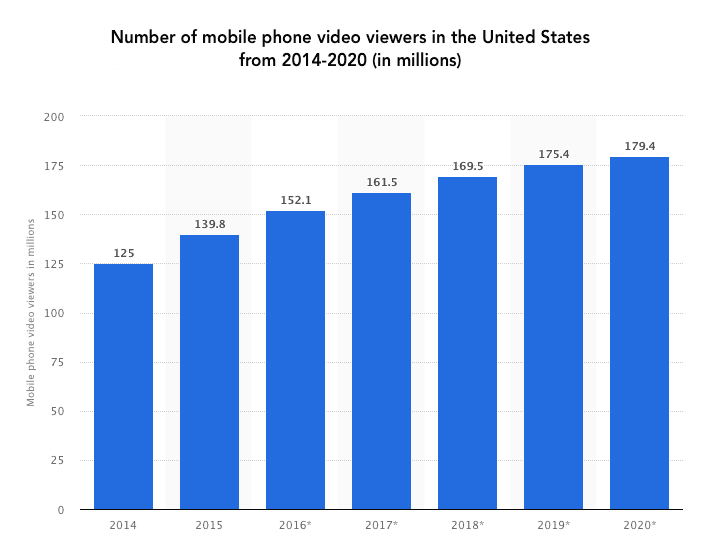 Are you ready to drink up the benefits of video marketing in 2019 now?